The Congressional Budge Office (CBO), a nonpartisan government agency charged with carrying out policy research to inform members of Congress, has released a damning report on the consequences of repealing Obamacare. 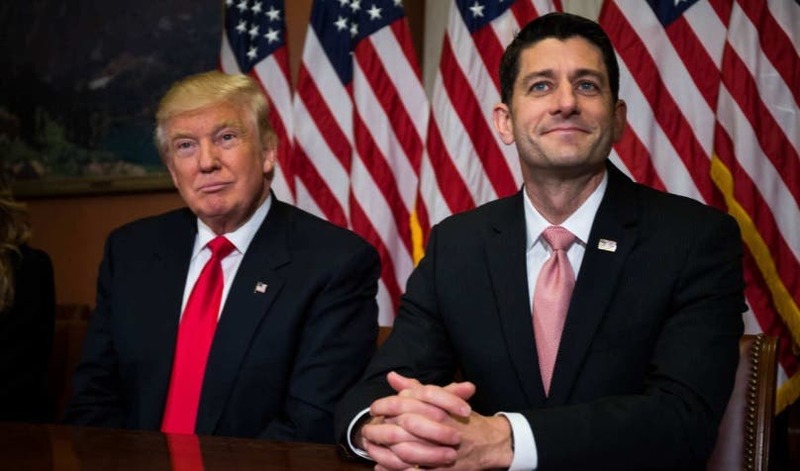 Incoming president Donald Trump campaigned on a promise of repealing the Affordable Care Act (ACA/Obamacare) and the Republican-dominated Congress has already begun the repeal process. The question on the minds of millions of Americans is: Where will that leave us? According to the CBO, in a very dark place. Their analysis found that the Republican bill H.R. 3762 (delusionally titled “Restoring Americans’ Healthcare Freedom Reconciliation Act), will have a devastating impact. Ultimately, it will eliminate “healthcare freedom” by making access to healthcare unattainable to tens of millions of Americans. Unless incoming president Donald Trump actually manages to replace the ACA with “something terrific,” the results will be catastrophic. The CBO explains that repealing Obamacare will cause a significant drop in insurer participation in the market of individuals. In other words, Americans who do not work for large employers that provide coverage for their employees will be out of luck when it comes to purchasing their own policy. The number of uninsured will spike by 18 million in just one year. In that same year, premiums will increase by 20-25%. It gets worse. The Republicans will roll back President Obama’s Medicaid expansion, and eliminate government health insurance subsidies for lower-income Americans who do not qualify for Medicaid or Medicare. When you combine this Medicaid and subsidy cut with fewer insurers offering coverage to individual Americans, 27 million will lose their health coverage in a single year, and premiums will increase by 50% in the same year. The statistics of what will happen in the first year after the Republican bill becomes law are staggering, but the situation will continue to decline. By 2026 there will be 36 million more uninsured Americans than there are today. Compared to today’s costs, premiums will double over the same 10 year period. But on the bright side, according to the Republican party’s overly optimistic figures, we will cut the annual deficit by an estimated 1.1%. Trump has offered no specifics on what he plans to do about this imminent disaster. He promises “healthcare for everybody,” that will be “great,” and “much less expensive and much better [than under Obamacare].” Trump promises to give us all great healthcare without anyone having to foot the bill. That is absurd. The Republicans know that they cannot replace the ACA for free, or provide Obamacare-level coverage for cheaper; this is exactly why they have long avoided proposing a replacement. The Republicans in Congress value a 1.1% deficit reduction over hardworking Americans who are about to lose their coverage or be devastated by huge spikes in premiums. At least they are upfront about their cold-hearted realism, unlike Trump who won support by promising his supporters the impossible and is about to prove himself the greatest disappointment in American history.